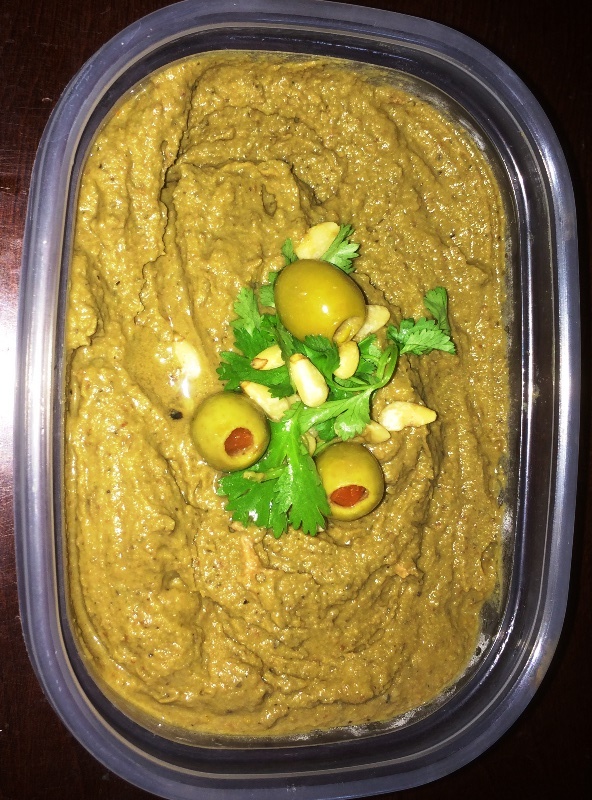 My red kidney bean hummus that I made recently came out so well, that I decided to try another option, this time with olives. 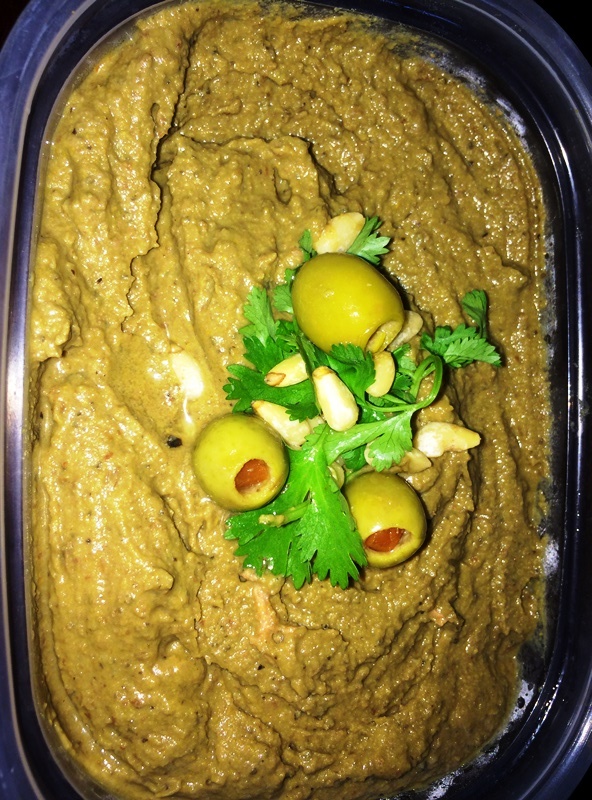 You can make it with only green olives, only black, or a combination of both. I personally have tried it both ways, and for some reason going with only green olives seems to come out the best for me. But don’t be afraid to use variety! Put all the ingredients into your high powered blender, and blend on high. Stop the blender periodically to push the mixture around and down the sides, making sure everything is fully blended. If you have a hard time blending, try adding some of the juice from the olives to the mixture. Always start small…a couple tbsp at first, or maybe 1/4 cup at the most. Once the beans are full blended, take out and chill in the fridge for a couple hours. Hummus always seems to be a better consistency once it has settled and been chilled in the fridge for a bit.